So, first things first. 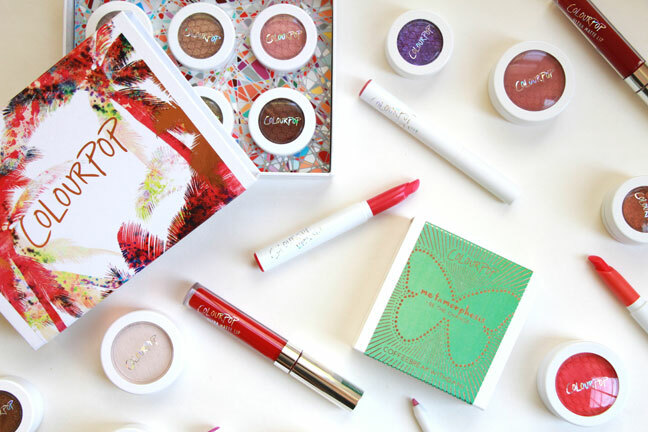 ColourPop is a super affordable mail-order only brand. 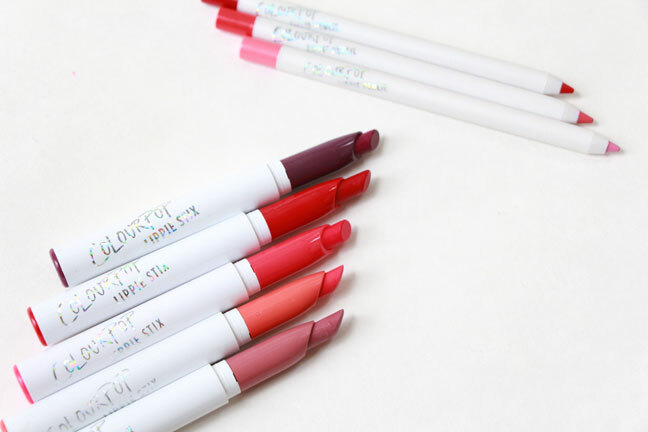 How cool would a ColourPop store be? Can you just envision that? It’d be a party for the eyes I’m guessing! J Anyway, the range currently consists of Eye Shadows & Pressed Pigments, Lippie Stix (aka lipsticks), Lippie Pencils (all coordinating of course! 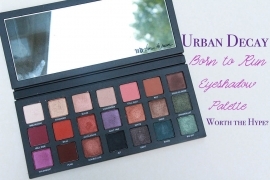 ), Ultra Matte Lips (aka liquid lipsticks), Blushes, Highlighters and Bronzers. Basically all the fun color products! 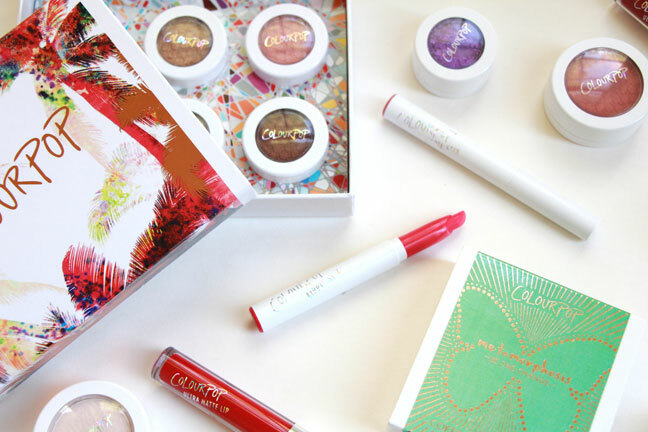 They are constantly releasing seasonal sets, collabs with prominent beauty vloggers and bloggers, new shades, new finishes and, yes, new products. How they keep coming out with more and more and more is mind boggling…and wallet killing! JBut then again, the products start at $5 each and nothing tops the $8 mark! Plus they offer free shipping over $30. 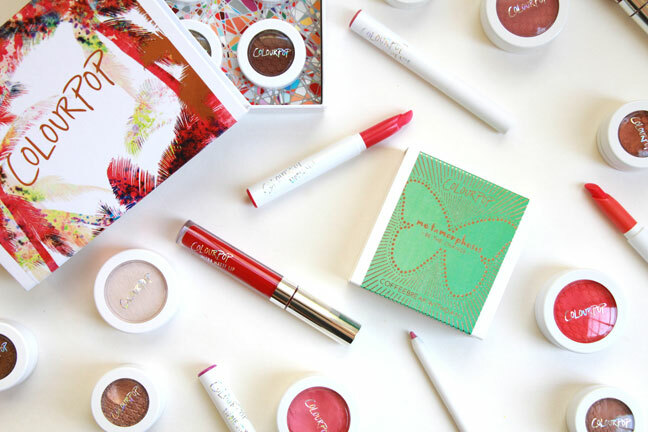 Well executed ColourPop – just perfect to keep me hooked and always convince myself why not just add that extra item or two to get free shipping, right? JGreat products, amazing on-trend shades and super affordable. That’s ColourPop! Now for the part I dread – trying to describe the formula of the potted products. 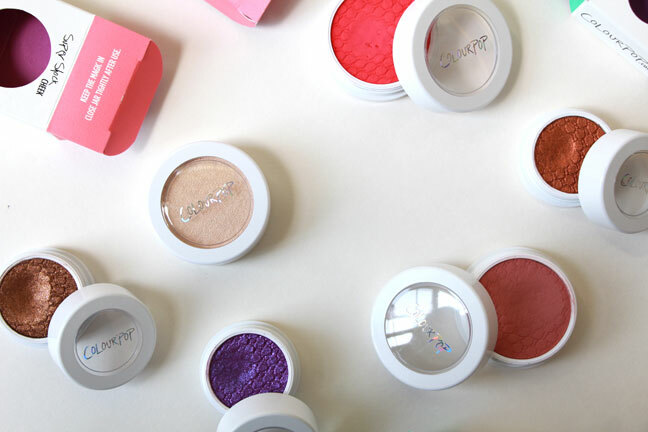 ColourPop’s Shadows, Pressed Pigments, Blushes, Highlighters and Bronzers are all packaged in little white pots with screw-top lids. They need to be sealed tightly so that the product doesn’t dry out. Bear in mind, they aren’t liquid nor are they really a cream or even a mousse. They have a strange solid play dough kind of consistency that doesn’t make any sense. They are definitely not powder, but they aren’t really wet or greasy or anything else. The best way I can describe them is a dry cream with an almost mousse-like consistency. You really need to feel one to understand it. Though the potted products are really pigmented, I don’t find that brushes are the best way to apply them. I just find it difficult to pick up the product with the brush. You can do it, but I’m always overly delicate with my makeup so I find it tricky. Besides, you really get fantastic impact when using your fingers. That’s my preferred method of using them. If I’m feeling fancy or like I need more precision, I will apply with my fingers and blend with a brush. I do this the most with the cheek products…and I should add that I haven’t tried any of the bronzers. As for the colors, they all look super intense in the pots. And they can in fact be applied that intensely if you want. 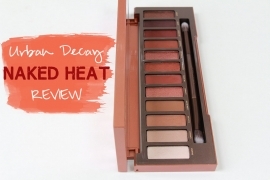 The blushes and highlighters sheer out easily though so that neon orange you see in the pot is probably not what you’re going to see on your cheek – unless you actually make an effort to achieve such a look. 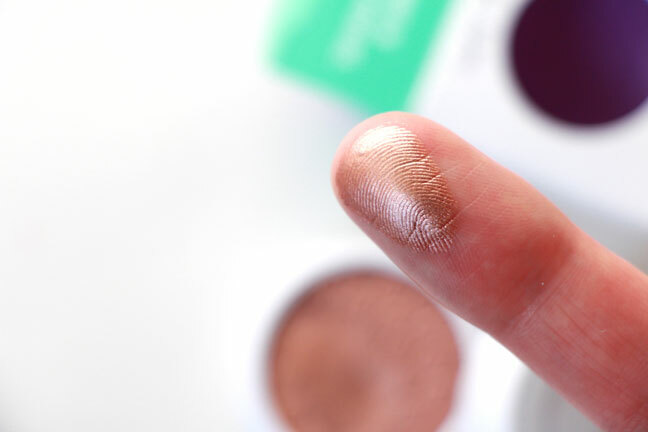 The eye shadows and pressed pigments are pretty much intense right away, but depending on the finish they are not necessarily as deep as that blackened green sparkle in the pot. 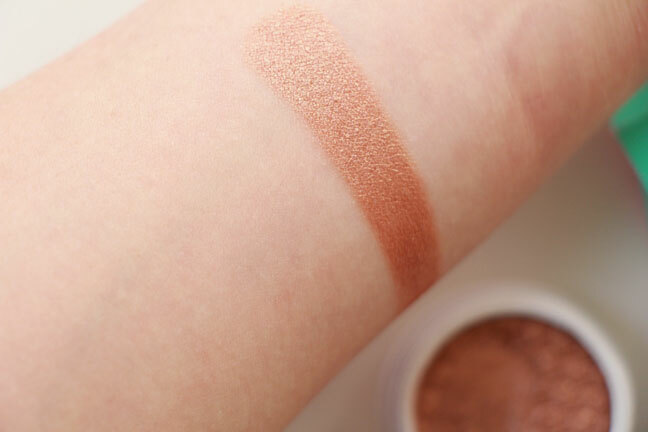 Speaking of sparkle, what intrigued me initially about ColourPop were a lot of the initial reviews that claimed they had no fall-out with the glittery shades. I had to find that out for myself, and it actually is pretty much true. You may get a random sparkle here or there, but if you’re applying a sparkly gem with your fingers, fall-out is pretty much non-existent. How in the world that is possible is beyond me, but so is the whole texture, pigment, blendable-ness of it all! 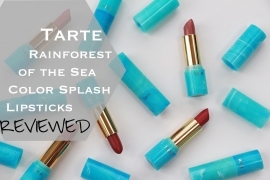 Tarte Color Splash Lipsticks & LIP SWATCHES – New VEGAN Addition to Rainforest of the Sea Line!